This great fire truck has a ladder which you can move back and forth and a lovely red coat of paint. 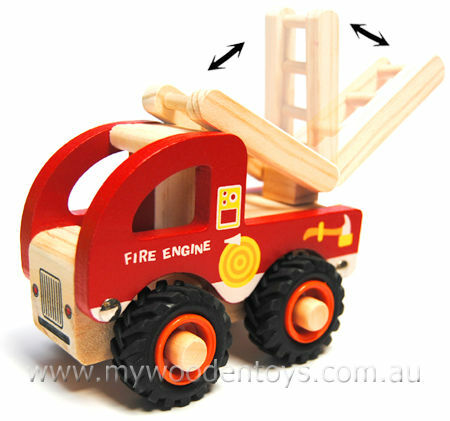 The large rubber wheels are very well attached with wooden axles and run freely. It wont be long before this little truck is zooming to its first emergency. Size: 13cm long x 9cm wide x 11cm high. We like this because: "A study safe truck for 18 mths +... fantastic!"